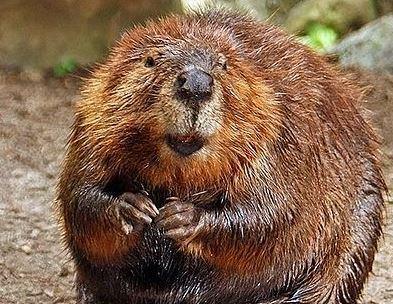 Beavers (Castor canadensis) have been in North America for two million years. Their ponds ease flooding downstream, and support large numbers of bird species, fish, amphibians, and otters. They are a keystone species to an entire eco-system. Humans and beavers have a long history together because they like to live in the same places, but the way we've built our infrastructure has almost guaranteed our two species will be locked in eternal conflict. Sam Evans-Brown - host of NHPR's Outside/In, which is in it's third season. The "Leave It To Beavers" episode served as inspiration for this discussion. 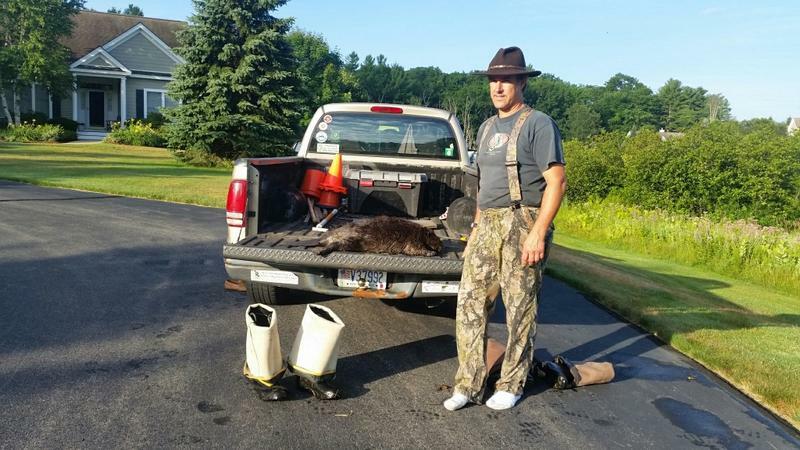 Anton Kaska - owner of Borealis Traders, a commercial trapping business in New Hampshire. Skip Lisle - wildlife biologist and owner of Beaver Deceiver International; he's invented several methods for foiling beavers and alleviating flooding problems from dams. Patrick Tate -wildlife biologist with N.H. Fish & Game. 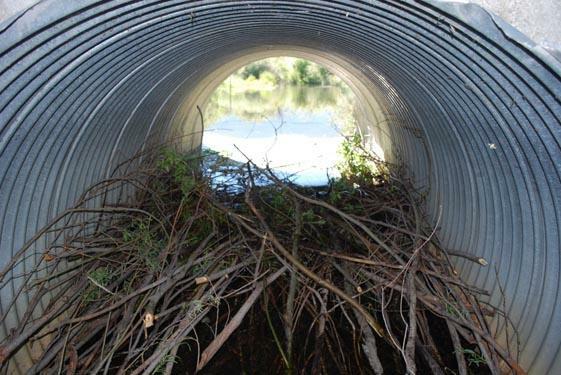 A culvert blocked by beaver. Credit Skip Lisle. Beaver Deceivers International. A beaver deceiver designed by Skip Lisle of Beaver Deceivers International. 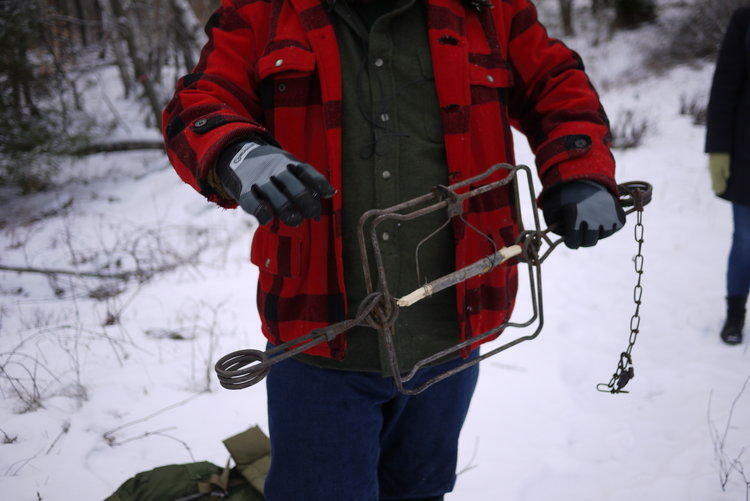 Trapper Jeff Traynor shows a beaver trap. The stick is the food. 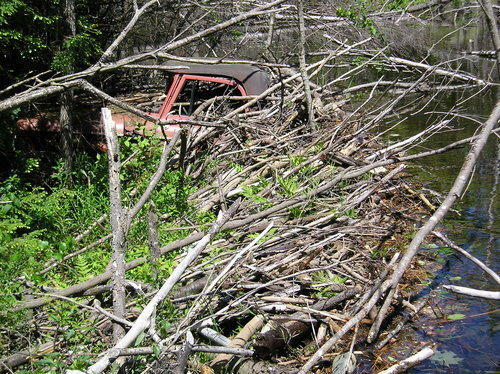 A pick-up truck swallowed whole by a beaver dam. Beavers have been busy this summer, building dams and creating wetlands—in places they're not always welcome. 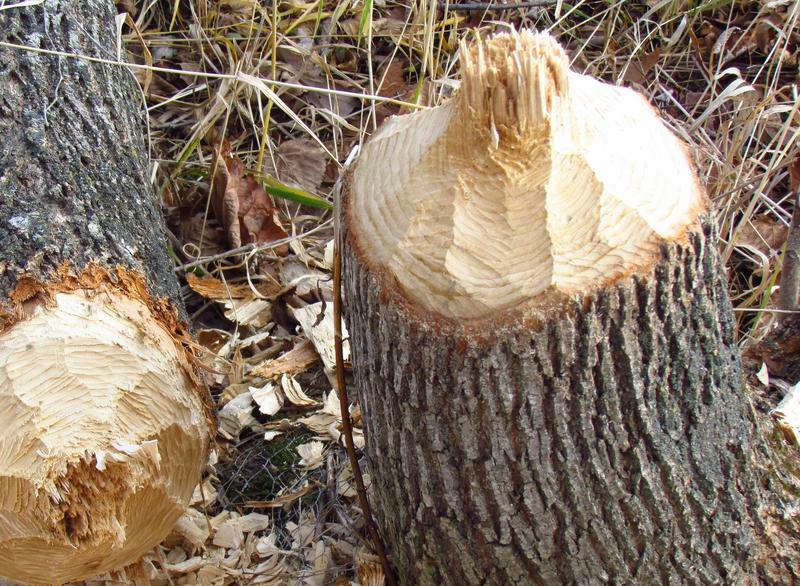 Commercial trappers are getting more calls to remove beavers from neighborhoods this season, and that's due to a drop in international fur prices. When prices for fur drop overseas, the number of beavers in New Hampshire goes up. 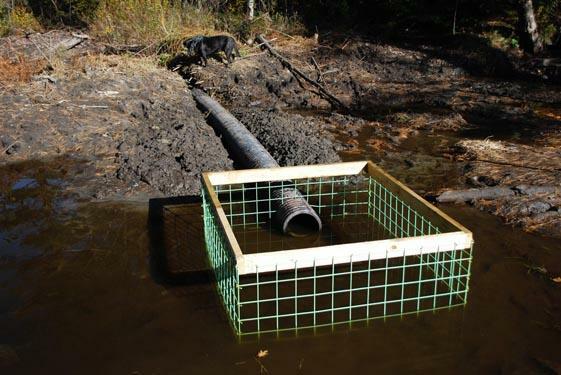 Anton Kaska unfolds a beaver trap and wedges it into the swampy ground in a marsh in a Bedford neighborhood. It's designed to catch the beaver around the shoulders and neck.